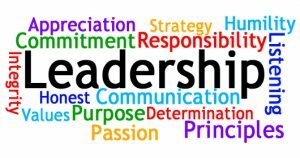 Authentic Leadership: Valuing Each Team Member - KB Concepts P.R. The biggest gem I found in Bettinger’s advice was the importance of valuing every member of the team—bottom to top—in being an authentic and impactful leader. Graciousness can go a long way to inspire those you lead. All of us have many “Dotties” in our work and lives—taking the time to get to know them is the first step towards truly valuing every team member, including those who do the real work. Apple CEO Tim Cook is known for eating lunch with employees in the staff cafeteria, a small step that goes a long way to increase his approachability. On the social media front, Facebook’s Mark Zuckerberg has created stirs posting intimate images with his new child Max, crafting a very human image of himself to both his employees and the public. How awesomely brilliant is this idea? What are the biggest lessons you learned that shaped your leadership style? And how do you try to pass those lessons on to those you lead? I love the reminder to pay attention to people around you and take time to know them. It is easy to get caught up in a hectic life and not see the value in stopping to interact with people. Totally agree Tara, I love that story!